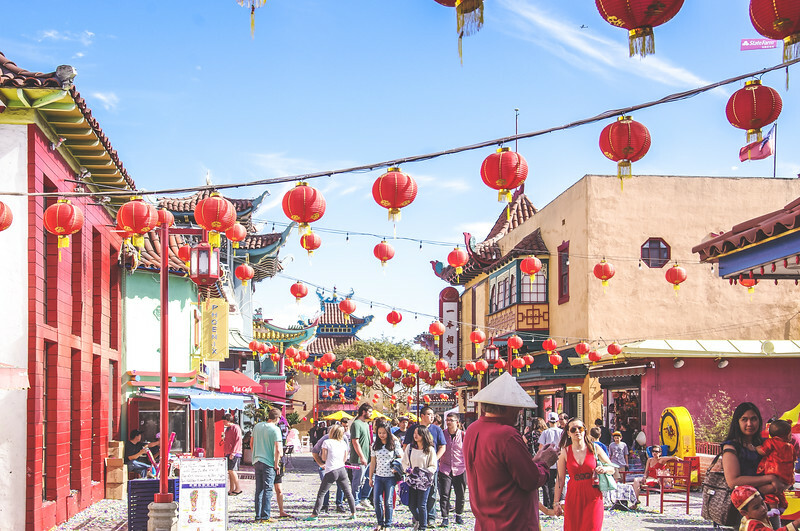 Los Angeles' Chinatown is home to more than just colorful gates, delicious dim sum, and historic temples. 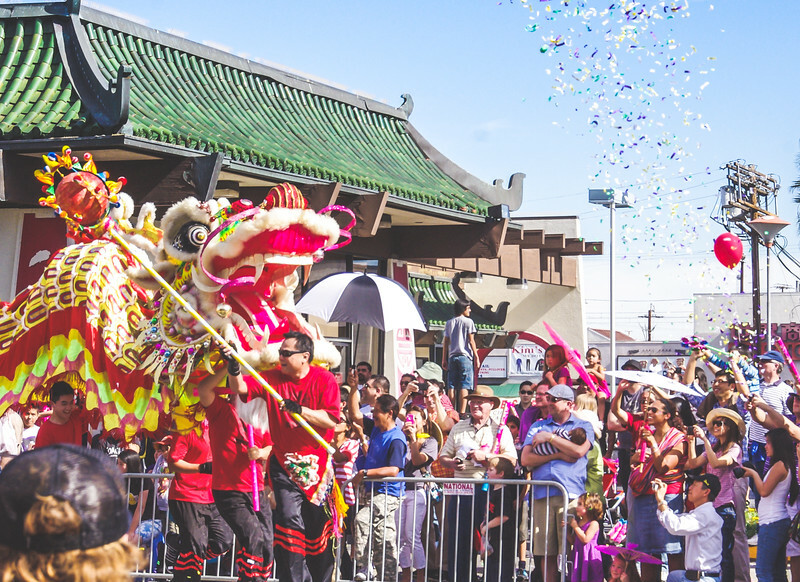 In case you didn't know, Chinatown is also home to the annual Golden Dragon Parade. The parade marks the beginning of Chinese New Year, a two-week celebration of the lunar calendar used in ancient China. A few years ago I took a friend of mine who was visiting me in Los Angeles to the famous parade. Partaking in the celebration was a ton of fun. 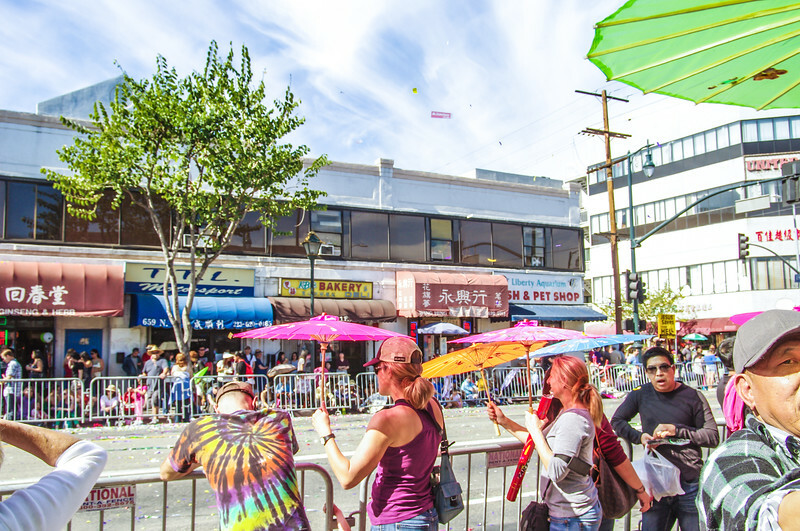 As a result, I now advise anyone coming to LA to check the calendar for the Lunar New Year and the date of the Golden Dragon Parade. 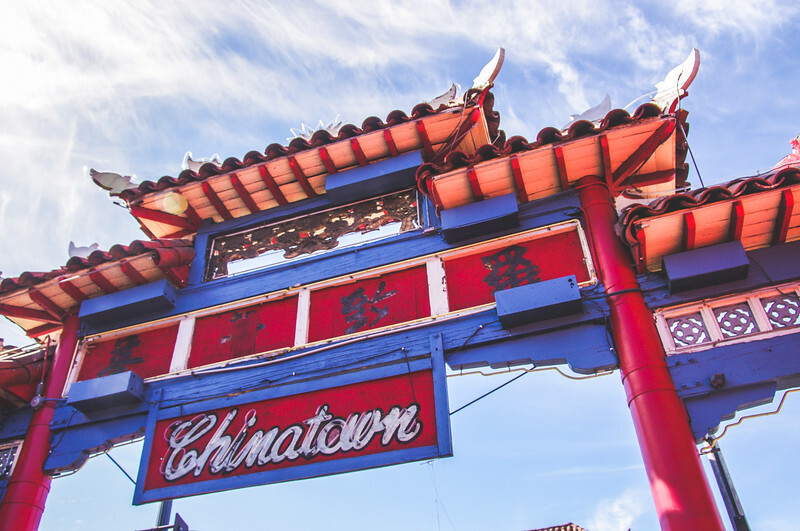 As one of the oldest communities in Los Angeles, Chinatown is one of the MUST-SEE spots in Los Angeles for first-time visitors. And those visiting during Chinese New Year are in for a special treat. 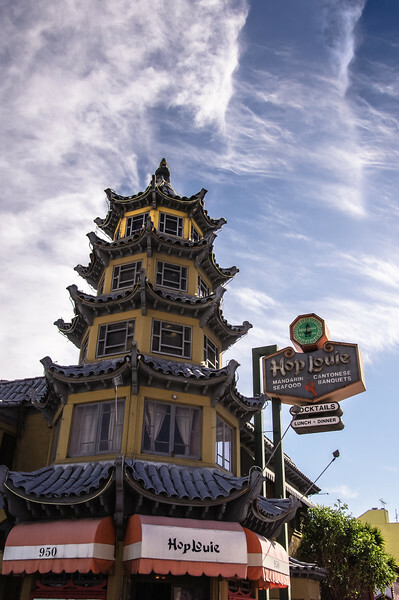 Experiencing Chinatown during the Lunar New Year means that you'll see the neighborhood at it's finest. All the local shops and restaurants will be brightly decorated and ready to welcome guests. 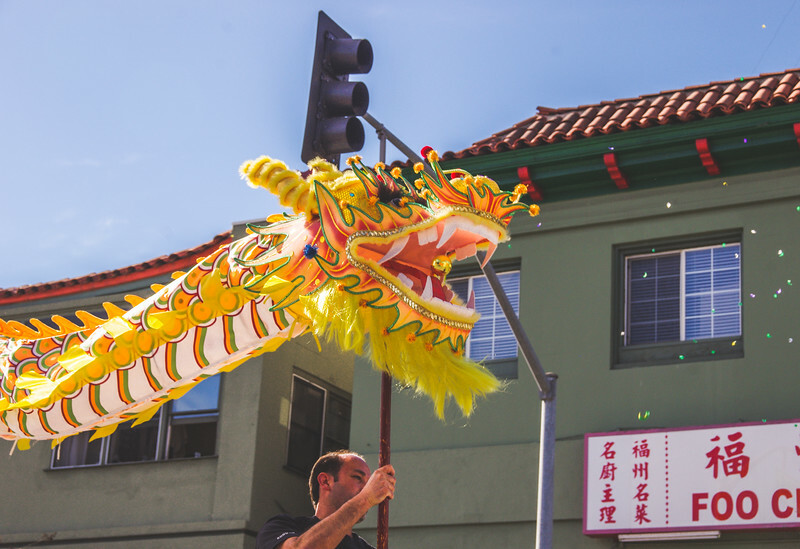 As one of the premier events of the Chinese Chamber of Commerce of Los Angeles, the Golden Dragon Parade has marched along the old streets of Chinatown every year since 1899. Outside of visiting China, there's nothing quite like seeing the streets of Chinatown transformed. The fluttering confetti, the colorful dragons, and the unmistakable sound of the erhu (or Chinese violin) work together to create a cultural extravaganza. The Lunar New Year is a time in Chinese culture to honor family and tradition. It's a time to wish for prosperity and marks the beginning of Spring. Fireworks are a common theme in Chinese New Year celebrations. 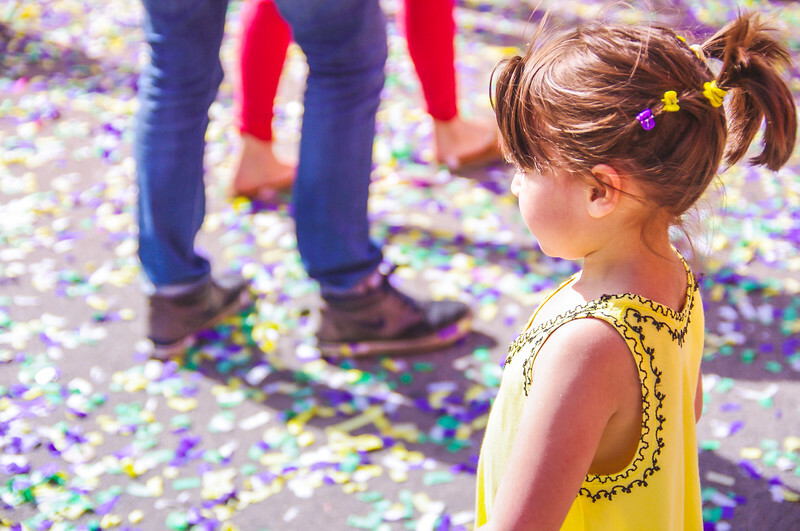 The sound of harmless fireworks fills the air as the children run through the Chinatown streets waiting for the Golden Dragon Parade to begin. The parade attractions include marching troops, bands of dancers, small floats, and traditional costumes. Dragons of all colors, shapes, and sizes prance down the parade route. And the brightly colored and highly adorned dragons symbolize power and luck in Chinese culture. The shops that line the streets contain many different festival favors. 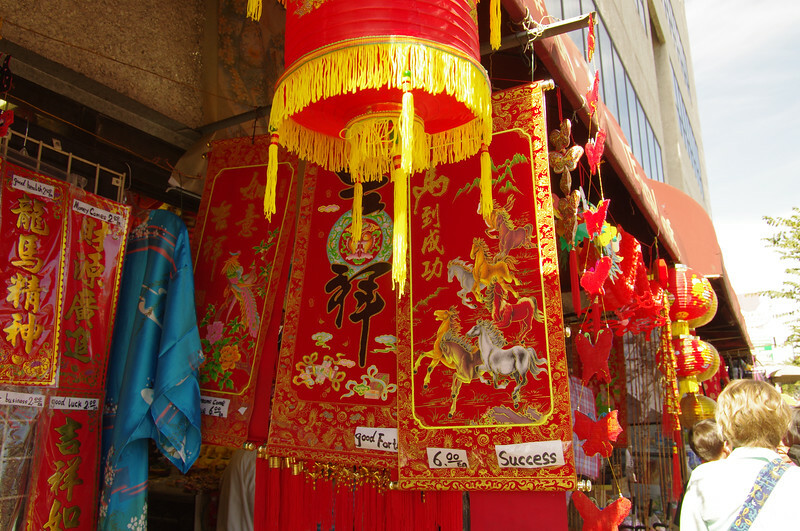 Hunt for banners symbolizing prosperity and success, a major theme of the Lunar New Year celebrations. 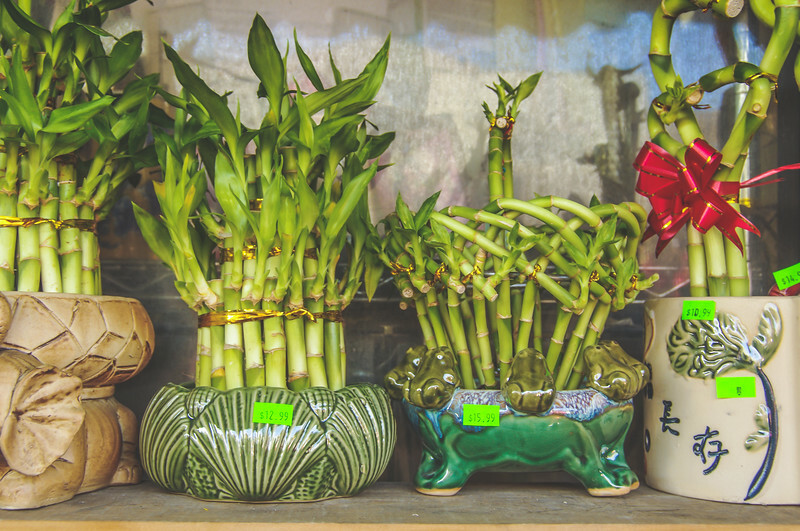 Lucky bamboo plants are available to take home, attracting good fortune into your home and your life. 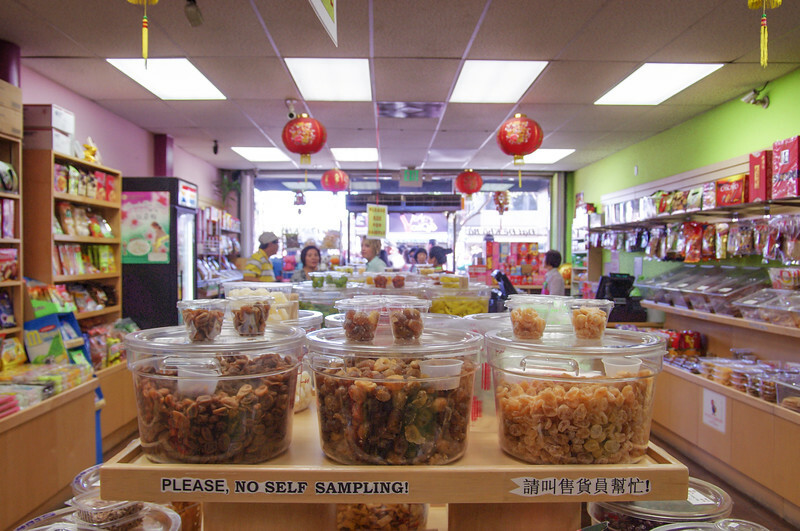 Everywhere you turn the streets and shops smell of traditional Chinese foods and flavors. Candy stores, herbal medicine shops, and clothing boutiques abound. Every direction you look you see fun trinkets, hats, fans, and umbrellas for sale. Line up for dinner at any one of the local eateries, some of which have been around for decades. 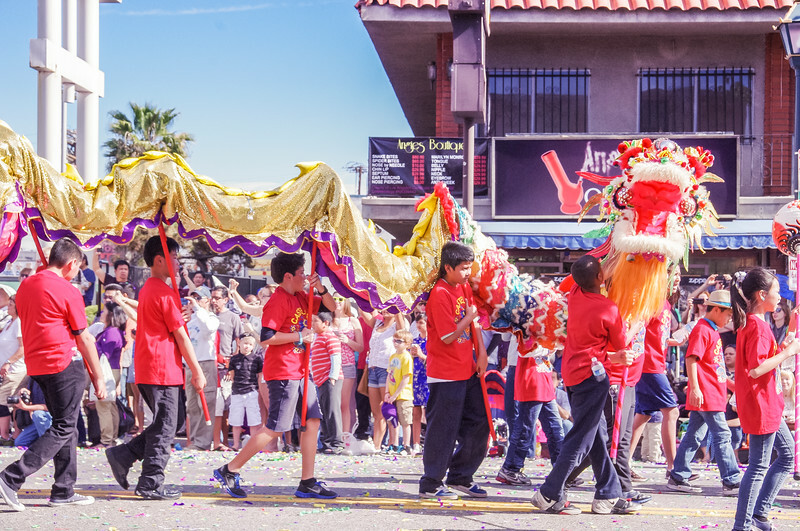 After all, the Golden Dragon Parade is the perfect time to dive deep into SoCal's Chinese culture. I've been very vocal about my love of Los Angeles. 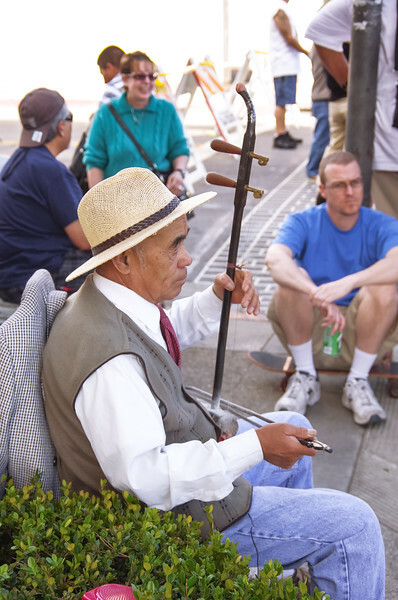 By far, one of the best things about living in Los Angeles is the multi-cultural nature of the city. Having grown up in Louisiana, it's safe to say that I sheltered from different cultures. So witnessing celebrations of traditional Chinese culture right in my back yard was one of the highlights of my Chinatown adventures. To me, Chinatown is just one of many examples of why Los Angeles is so unique. 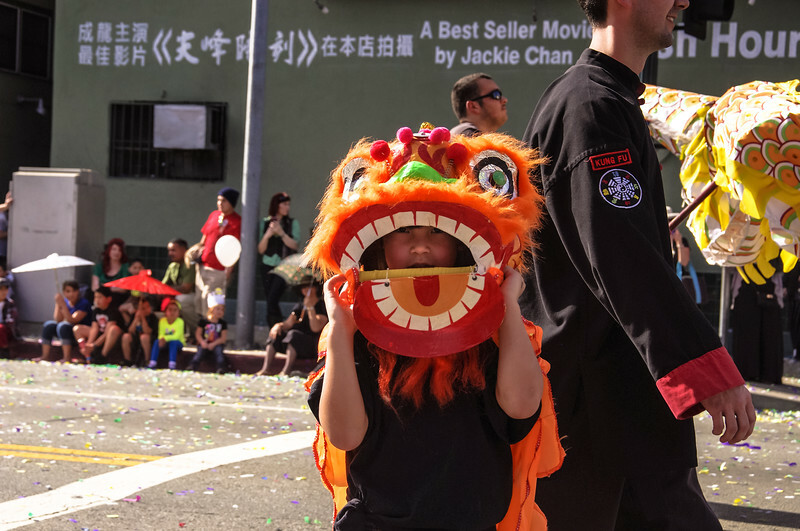 For more information about the Golden Dragon Parade including dates, times, and parade route, be sure to check out their website. 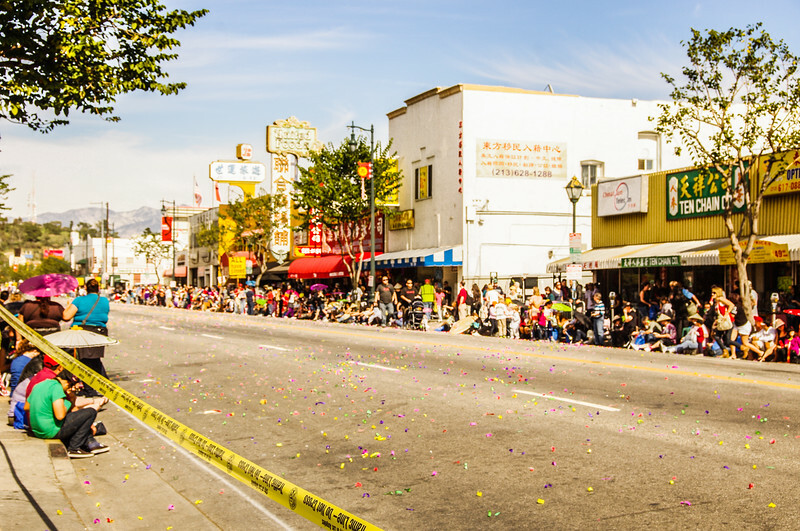 I hope you get to experience the Golden Dragon Parade when you visit Los Angeles. If not, be sure to check out some of my other Los Angeles travel tips and plan your best LA adventure!